• A 1.03-mils parishwide property tax for operation and maintenance of the Health Unit. • A 20-mill property tax in Fire Protection District No. 10 for 10 years for operation and maintenance of the district. • An 11.74-mill property tax in Fire Protection District No. 12 for 10 years for operation and maintenance of the district. 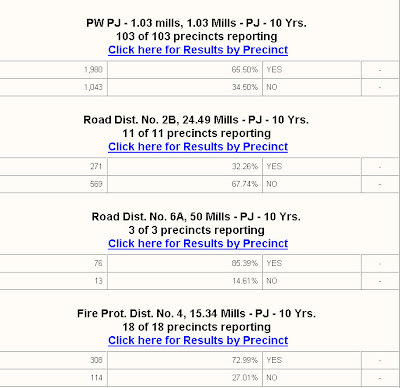 • A 15.34-mills property tax in Fire Protection District No. 4 for 10 years for operation and maintenance of the district. 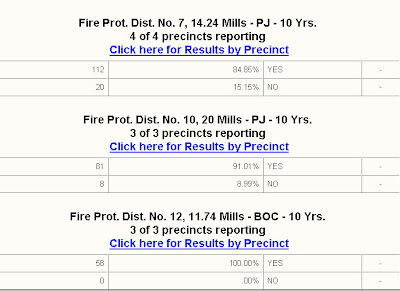 • A 14.24-mills property tax in Fire Protection District No. 7 for 10 years for operation and maintenance of the district. • A 24.49-mill property tax in Road District No. 2B for 10 years for improvement and maintenance of roads. • A 50-mill property tax in Road District No. 6A for 10 years for improvement and maintenance of roads. ~ read more also in central louisiana: allen, beauregard, concordia, evangeline, grant and natchitoches all have taxes on today's ballot that you should go vote against. but with the electronic voting machines the criminals have sprung on us does voting really matter anymore? Are computerized voting machines a wide-open back door to massive voting fraud? The discussion has moved from the Internet to CNN, to UK newspapers, and the pages of The New York Times. People are cautiously beginning to connect the dots, and the picture that seems to be emerging is troubling. "A defective computer chip in the county's optical scanner misread ballots Tuesday night and incorrectly tallied a landslide victory for Republicans," announced the Associated Press in a story on Nov. 7, just a few days after the 2002 election. The story added, "Democrats actually won by wide margins."